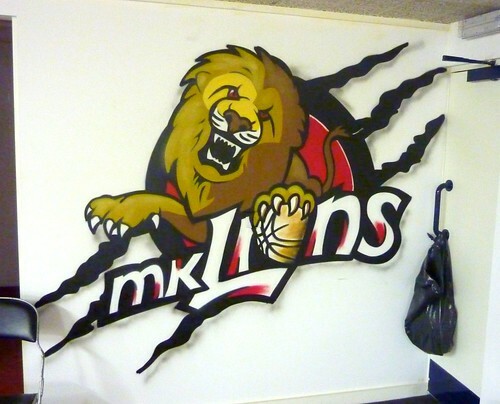 MK Lions chief Vince Macaulay asked Arkadegraphics to decorate the Lions changing rooms with one of his distinctively styled murals. Being a big Lions fan we couldn’t resist! 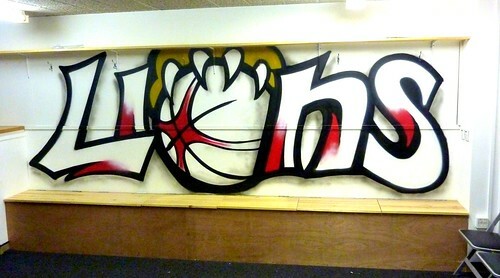 This entry was posted in Artwork, Commissions and tagged arkadegraphics, basketball graffiti, basketball grafitti, basketball logos, bbl, Graffiti, graffiti bedroom, milton keynes graffiti, mk basketball team logo, mk graffiti, mk lions, mk lions basketball, mk lions bbl, mk lions logo, Mural, Spraypaint, team logos, usn. Bookmark the permalink.